Look Closely. Its infinitely Khaki!! This is the new t shirt design any one painting along side the Khaki Pant Painter. 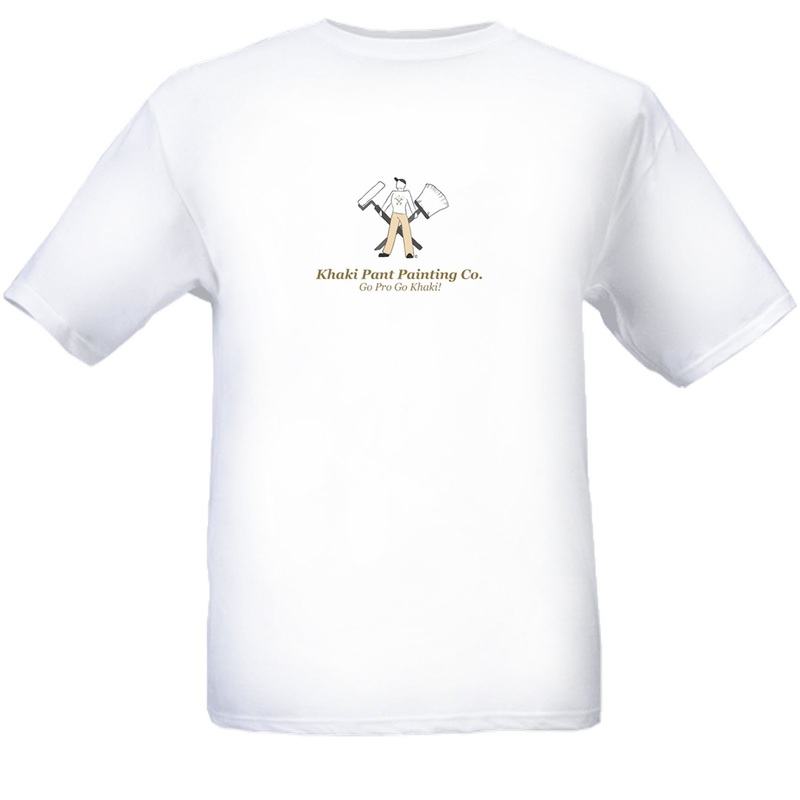 Kept the design really simple to keep costs down because t shirts seem to be a waste of money. No matter how hard you try paint will always end up on your clothes. The funny thing is I can enter a home, paint all the walls and ceilings, and not get a single drop of paint any where else except my clothes.